the delivery It is booming. It is trend and everyone talks about it in hospitality. attentive, because it is not an artificial trend but the result of a deep seated change in consumer habits Y, so, a solid and safe trend. Customers have changed…and still do. In the hardest part of the crisis 2008 among the few sectors that thrived were the prepared -in the supermarket or linear walk from food street-, the fifth range hospitality, organic products and food delivery service. The strength of the take away and delivery and shall be established, why changes in consumer habits transcended the economic crisis. These new habits of consumers / customers are firm: more and more we cook for pleasure, hobby and less (a lot less) for necessity. Every time we eat more cooked food, purchased in supermarkets, in casual restaurants and, especially, we seek to receive in our home, workplace, holiday resort or on the beach, and increasingly rich food healthier- comfortably. New delivery industry operators, the Apps (Deliveroo, UberEats, Glovo, Just Eat…..) We have brought important developments in the sector and to make life easier for the potential customer. The possibility of choose from many restaurants in the same app, quick and easy to order and direct prepaid to avoid the hassle of cash and change (Traditional pizza delivery of the years 90). You can also make restaurant rating, dealer and "follow" the path of dispatch and delivery of your order to control the time. Restorers, meanwhile, we have realized the importance of the sector, we have matured, put aside prejudices by operators and commissions we have improved the packaging and R & D of the dishes to be fit to take home. Incorporating the rich and varied cuisines restaurant concepts has also helped give a strong impetus (Japanese cuisine, Mexican, Peruvian, saladbowls, gourmet burger…). Regarding the commissions I would add that many hoteliers have finally understood that he Delivery It is another business, not comparable with that generated in local and payment to the app that brings order and manages it is logical for the business that generates us. Delivery apps We do not charge commission by transport order or, at least, that's not important. They charge the Commission as a sales channel, advertising a window where customers will not come, at least at the time of consumption- to your local, They can see and choose you…As well They charge because they have much force communication, are major brands and many potential customers downloaded for use and that opens the window to your business (a window that would not exist if you are not in them). these commissions, surely, They tend to be reduced in the future. Why are these fees will be reduced? Because the economies of scale of all these apps and constant improvements in logistics will make it possible, and competition. 1. Labor regulations the messengers is and will be a focus of conflict and perhaps cost increases short term and for a short time. The legislation provides for the delivery options continue on the current path and everything depends on you each messenger actually end up working as a freelance for various clients, for example restaurants and not the operator of the app. Some of the delivery app already working in that direction. Nor is it ruled out that the messengers can work simultaneously for several operators or other services and reduce their dependence. It is a thorny issue socially, but from the point of view of business efficiency, surmountable for all parties. 2. Self transport with self-driving vehicles or all options Delivery in special mailboxes for food delivery, Delivery areas added, etc. It seems that very soon we will see autonomous vehicles making all kinds of services, including home delivery orders. That will lower costs, increase efficiency and grow demand. And it's not science fiction, is it is going. 3. Las cook room (o dark kitchen) They are the latest innovation and a complete change of paradigm. App operators are gathering, under management, a most successful restaurateurs, more profitable and that make a wide range (pizza, premium burger, oriental cuisine, Mexican, bowls, healthy…) order to enhance and leverage the efficiency of logistics hubs where they are located (favoring faster deliveries and better cost). In addition they are already testing multibrand orders: that the client, in the same order you choose dishes from restaurants. 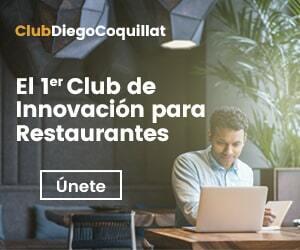 The transformation that these cook room they will produce in the sector are unpredictable, for example, since some apps start operate directly service restoration by new brands or franchises to the destabilization of restaurants to stay out of them and they can lower its positioning algorithm the app not being a cook room. 4. Some app do not bet on the delivery room and instead cook they do for walk the street restaurant, whether restaurants with no room or restaurants like ghost has come to call them, that is to say, Restaurants only work to sell your product delivery apps. In all cases it will be very interesting to see as just defining the sector: ¿It will be the delivery-based service restaurants street? Does the bulk of the delivery will be for brands operated by own app and cook room? I, today I can not speculate beyond that the winner will be the one that offers best quality food in the shortest time. 5. Some are betting app for delivery in other countries cook room property of others, that is to say, restaurant operators (or other sectors) what build spaces to house macro many restaurants different brands and service one or more undertakings of delivery. This separates businesses looking to each of the parties to focus on his own, which can increase the quality, but also the costs, to a third party appear, which it is the owner of the cook room. 6. It is quite likely that several of these companies Delivery end up merging (by buying each other) to lead the market. It will also occur shortly disembarkation in the sector other operators such as Amazon or perhaps even supermarkets, with the insfraestructuras to do so. 7. It is possible that in local areas (medium towns, barrios…) where the strength of the great apps delivery is less, appear Local operators are grouped with their own app and delivery service. Attentive to this geolocation in some medium-sized cities is beginning to be observed. 8. If some delivery companies generate their own brands or operate restoration brands that have reached agreements and become not only technological apps, but also restaurants, surely the marks left out or independent restaurants will seek their niche in differentiating and enhancing the quality for the public of their environment Will we live delivery market with various levels of quality and service? Will there be a duality between global delivery of major restaurant brands and operators and local restaurants app? remember that, however great is an enterprise of delivery or restaurant brand, the food has to be produced and served in a radius of few kilometers and joins the global local. The future of delivery strikes me as fascinating. I bet that, whatever the sector's future and how they operate, it will always be done with food increasingly higher quality and better prices for end users and smaller commissions for restorative. Whatever happens in the coming months will be fascinating.